"...Today, more Americans die from drug overdoses than car crashes or gun fatalities. 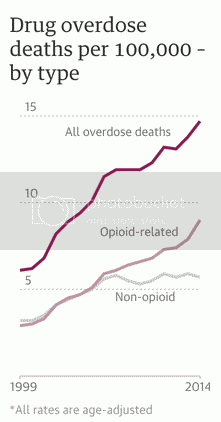 In all, drug overdoses killed 47,000 people in the US in 2014, the latest year for which data is available. That’s 130 deaths per day, on average. The majority of those deaths – 29,000, or 80 per day – involved an opioid..."